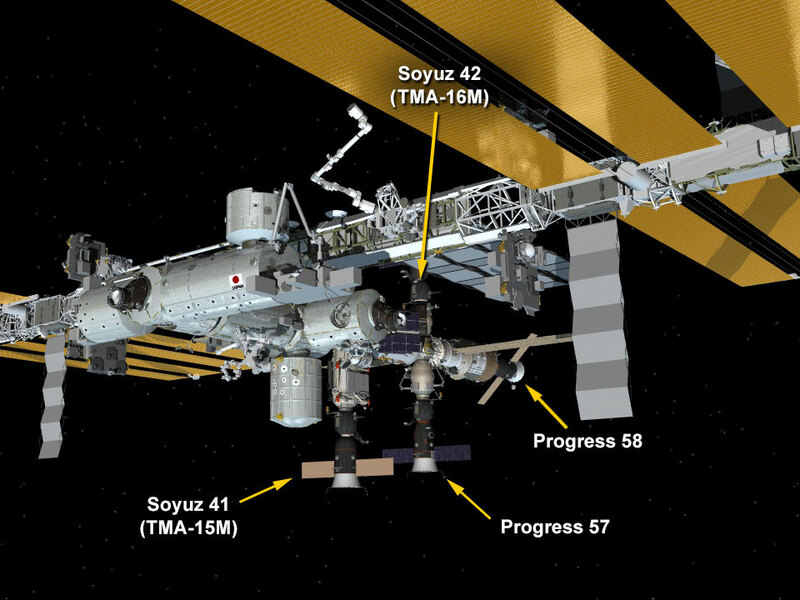 There are now two Progress resupply space freighters and two Soyuz crew vehicles at the International Space Station. The Soyuz TMA-16M vehicle docked to the International Space Station at 9:33 p.m. EDT, over the western coast of Colombia. Aboard the space station, Expedition 43 Commander Terry Virts of NASA, Anton Shkaplerov of the Russian Federal Space Agency (Roscosmos) and Samantha Cristoforetti of ESA (European Space Agency) will welcome Soyuz crew members Scott Kelly of NASA, and Mikhail Kornienko and Gennady Padalka of Roscosmos when the hatches between the two spacecraft are opened. Watch the hatch opening and welcome ceremony live on NASA TV beginning at 10:45 p.m.: https://www.nasa.gov/nasatv. Wishing you a successful experiments on your trip and have a wonderful stay ! Enjoy and good luck….! looks up every time I go outside and I love to sit outside at night and watch the sky. I think sometime actually see things moving. So GOOD-LUCK on your mission hope you all stay HEALTHY. SAY HELLO TO GOD WHILE YOUR UP THERE CLOSE TO HIM !!!! !